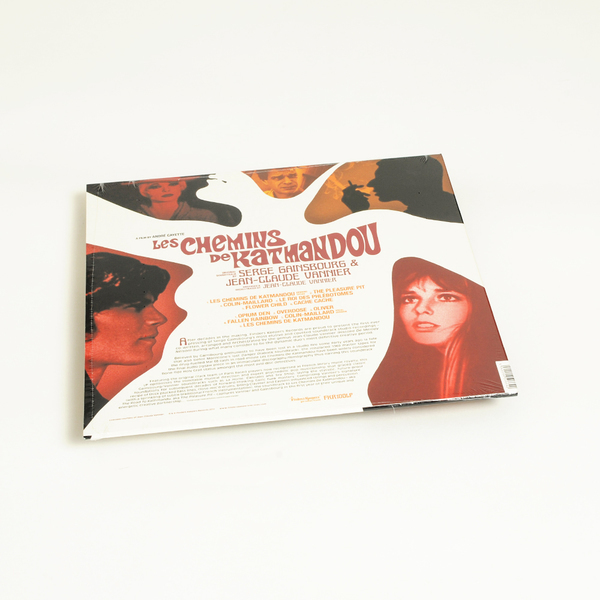 After decades in the making Finders Keepers present the first-ever pressing of Serge Gainsbourg’s most elusive and coveted soundtrack studio recordings – co-written, arranged and orchestrated by the genius Jean-Claude Vannier (Histoire De Melody Nelson) during what many consider to be the dynamic duo’s most definitive creative period. 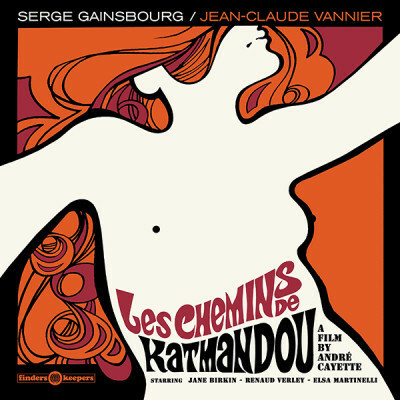 Its the first time on vinyl for this previously unreleased Gainsbourg/Vannier soundtrack to a saucy, psychedelic gallic classic starring Jane Birkin and Gainsbourg in leading roles. Interesting for its forays into traditional sub-continental styles, and one track of heavy petting, alongside the usual Gainsbourgian string arrangements and smoky winks. 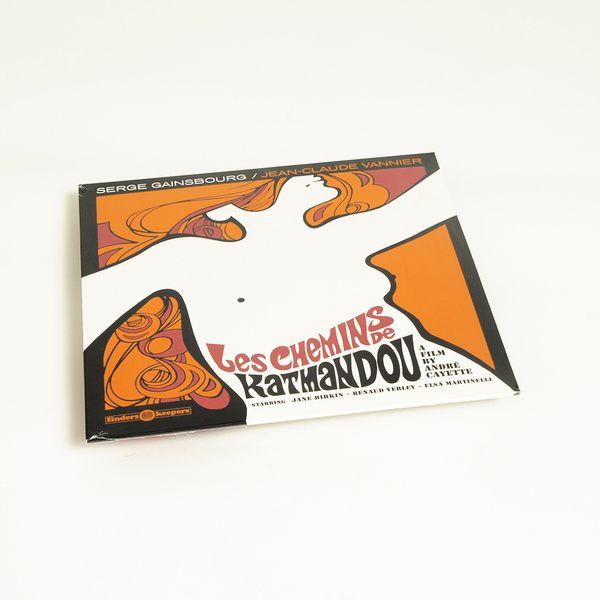 Believed to have been lost in a studio fire by Gainsbourg enthusiasts for over forty years (a myth that also shrouds Morricone’s lost Danger Diabolik soundtrack) the misplaced master-tapes for the drug-fuelled/Mai 68 cash-in/road-movie Les Chemins De Katmandou have been widely considered the final audio jigsaw piece in an immaculate discography/filmography thus earning this soundtrack bone-fide Holy Grail status amongst the most avid disc detectives.